I need to take a pass this morning; having been up a bit late last night. And my younger son’s Leganza needs some attention, among other things. So if fiction isn’t your cup of tea, or you’ve had your fill already, here’s your chance to be an instant CC Contributor via the comments. Well, you do that all the time already anyway. But this time, that’s all there is; call it the open-source CC. That’s a very nice example pictured above. I’m torn which I like better, Dan – the Buick or Olds. Thing is, that “GS” moniker has always fought with “442” in my mind and since 1968, there’s still no winner! I suppose I’ll take one of each. The best looking W-Body at its most pure (it’s either a 1991 or 1992 Regal GS). If wanted I’d take a stab at it. I love these cars, and they’re a kind of phenom on dubs here in the Bay Area. Good one, Paul. I like how you’re thinking. The W-Body started as the GM10-program, one of Roger Smiths more ambitious plans. The plans called for seven plants churning out 250k cars each. To a development cost of 7 billion dollars in 80’s money. The three coupes came first, counter intuitive to then current market trends. The sedans followed two years later. The GM10 program was probably GM’s deadliest sin of all, the Citation notwithstanding. They (allegedly) lost money on every single one sold, and they mortgaged their future to hemorrhage that money. Hey, I’ve got a great idea! Let’s make something that will cost us a fortune and lose money for as long as we make it! They still make a car on the W platform, and that car sells well. I think they’ve probably paid off the development costs by now. The 3800 V6 is the motor GMH took in 88 for its new range of cars, promoted as the new Holden 6 no mention of the V configuration good motor though. That could be my father’s garden. He loved gladioli. I have had the great honour of being a guest at this home. The interior is even more impressive! Every month all of the car mags would have a paragraph on how or why the GM-10 platform was undergoing a delay and would be introduced with whatever the next mid or full year cycle was approaching. Funny, I don’t believe that I have ever ridden in one of these. Which must prove what a disaster this vehicle was for GM. If GM couldn’t sell them to my extended family (who had bought virtually nothing but GM well into the early 80s) here in the midwest, then the game really was over. Edit. After looking at the pictures again, I am not sure that I have seen a less attractive car. The beltline makes the car look like it has a swayback and it is sagging in the middle. There is nothing here that makes me want one of these. OK, maybe the 3800 engine, but this is still like settling for the Volare to get the slant 6. Aren’t lots of 90s GM cars like that? I haven’t seen one that didn’t have a cheapy interior; the J-bodies and trucks were especially bad. Indeed many were, but I’d put the early W-body Grand Prix’s even below the Cavalier’s, believe it or not, at least as far as materials and plastic squeakiness. GM interiors designed in the very early 80’s such as the A-body Cutlass Ciera/Celebrity/Century/6000 or even the lowly Cavalier had a certain honest feeling to them, while the W-body cars (exemplified by the Grand Prix) did not. Even the W-body Lumina’s interior, weird as it was, “felt” better. Pontiacs of the time weren’t too good either, I always hated the light gray bulbous buttons and swaths of hard, thin plastic that they used. But anyway, I know what you mean about 80s GM interiors being better. My grandfather had a 1986 Custom Cruiser and I don’t remember the interior being cheap at all. Lots of soft-touch materials and no rattles whatsoever. I think The Regal, due to its market/price point tended to have the best screwed together interior of all the W bodies, at least the first interior with the slit instrument panel. There was a decent amount of soft touch materials and they seem to look nicer used than the other W-bodies today, especially the the 1988-94 interiors, The 1995-96 interiors showed obvious cost cutting with the plastic injection molding looking dash. They aren’t as plush inside as contemporary C and H bodies though. Then again acres of pillow tuft velour doesn’t speak “expensive” to me either, so 1970s-80s Upper GM Creations make me think of the lack of taste the United States had during those years. What did you make of the C4 Corvette’s interior? I drove a well-kept ’95 coupe not too long ago, and even with its low mileage (around 66k) I didn’t like the interior at all. Everything felt very cheap, especially the seats – they seemed fragile. Mom’s husband is a Corvette guy from a long time ago, and he wanted another one. They found a pretty slick hunter green ’96 model and bought it. Well, the outside was slick….the inside was a plastic disaster. NOTHING fits right in those things. I kinda liked the style and general layout of the dash and cluster and so forth, but the execution and/or materials were almost unbelieveably bad. Really awful. And the see-through top squeaked something terrible, but you can’t blame that on the dash…. A friend’s dad had a 1988 or so Regal GS coupe, white with blue cloth interior. It was a really sharp car. I only rode in it a few times, but the interior seemed very nice. This was an earlier version though, before they got the recycled garbage can dash. 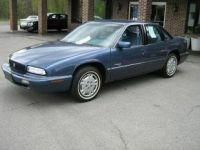 The ’88-94 Regal dash was very nice looking, and you could tell you were in a Buick, not a Lumina or Grand Prix. About five years ago I test drove a Saab 9-3. It had the cheapest interior I’ve ever seen. Visually it looked OK but when I adjusted the mirror, the button and housing both came off. And the turn signal switch felt like it was going to snap off in my hand. This wasn’t a high mile one either, it may have been a year old. Nice driving car, nice seats, but forget it! My dad occasionally drives a 2010 Impala as a company car and it is far better, I actually wouldn’t mind one as a daily driver. The first C4 interior was just as bad too, although it was more ugly than poorly-built. It’s like they slapped together the whole interior without any ergonomic or stylistic considerations. I think they’re more attractive than the original FWD C/H and Downsized Riviera. They’re among the better of GM cars of the early 1990s in my opinion, just below the C/H body cars in overall competence. 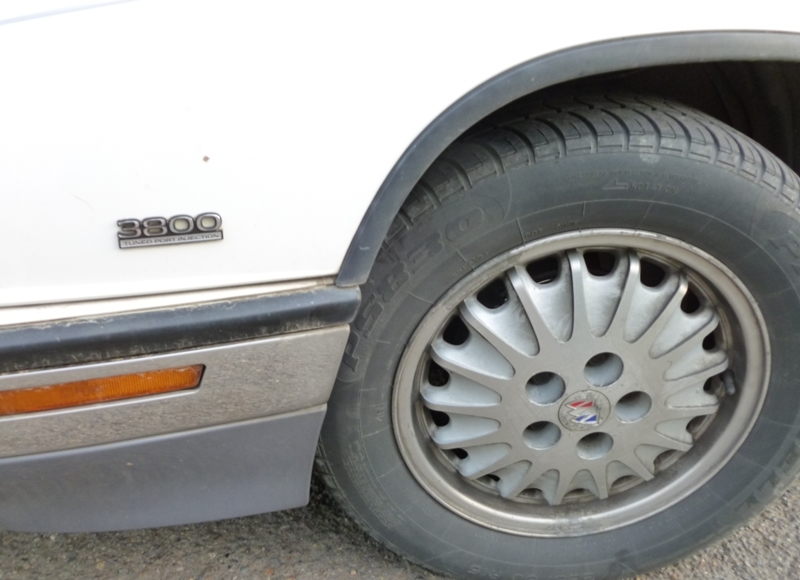 They offer most of the traditional Buick Virtues (they are particularly whisper quiet and relatively quick with the 3800 for early 1990s standards), but in the case of the GS can actually be hustled in a way that most non FE suspension equipped H bodies can’t. Plus other than the roofline, the Regal Sedan doesn’t look exactly like any other W-body. All 4 brand variants could say that while nothing else in the GM line up except the refreshed C bodies could. The problem is in size and purpose they were rather redundant, especially at Buick and Oldsmobile where you had 2 full sized sedans above them. They aren’t as space efficient as the squarer bodied C/H bodies They should have been smaller cars outwardly or the A bodies should have been universally euthanized by 1992, but General Motors wanted to milk the cash cow. The most glaring fault of them seems to be their less than reliable (even when new-ish) electrical systems. I would say that their failure had a lot more to do with the epic failures of products from the previous 15 years in combination with getting too far ahead of the customers that still wanted half vinyl roofs, wire wheel covers and pillow top seat cushions if there wasn’t a boulevard ride to filter the world out. Maybe that’s why Chrysler was able to sell a decent number of those gawdawful New Yorkers during this period, all those disenchanted Cutlass Supreme Brougham fans……. 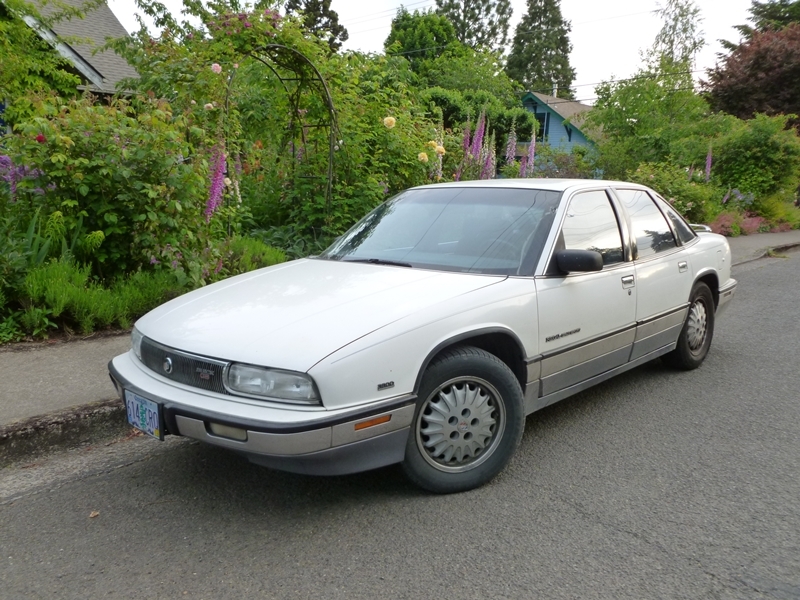 My first car was an ’89 Grand Prix SE, when SE was top of the line. Color-keyed wheels, REAR bucket seats, the cool LCD screen with compass and info center at the front part of the center console, POWER HEADRESTS and INDIVIDUAL thigh support in case you were lopsided. It was a pretty good car mechanically. Never had any issues, but only had it 6 months before I managed to crash it. One thing interesting about it is it would drift all 4 wheels very evenly if you lifted off the throttle in a fast sweeper. And although everyone including me hates understeer and wishes all cars were really neutral as this Pontiac was, if it had understeered I probably could have saved it and not crashed. At least it was the only crash I ever caused myself. And I seem to recall the the engine compartment is really cramped on this platform as compared to the wide-open spaces of the larger C and H bodies. Not fun getting to the rear spark plugs, or oxygen sensor. I can relate to that, I have a ’96 Regal w/3800, and GM in their wisdom put the battery under the windshield washer tank. Other than a few quirks though such as “service engine soon light” being a constant driving companion and flimsy left turn signal not clicking into place any more, the thing with 67k on the clock runs great and I love stomping on that series II and feeling the torque. I always thought these looked rather like a suppository. Perhaps going for some familiarity effect for the target market. What is with those trunk racks? I know my father’s Tempo had one as well as a good chunk of cars in the late 80s / early 90s. Are they are styling gimmick or has anyone actually strapped a picnic basket or similar to one? I’d say styling gimmick. I remember them being especially popular on A-body Centurys and Cutlass Cieras. Always thought that was one of the nicer style cars GM did in many years (minus the stupid trunk rack, of course). If only automatic wasn’t mandatory, I’d probably be looking for one. Decided to go with the set of Primewell PS830 tires? My aunt and uncle had one just like this. It was a 1991, fully loaded, silver on grey interior. It was a lovely car — until the transmission blew at 50,000 miles. And then again at 70,000. Shortly after that, they replaced it with one of the first Toyota Highlanders. And people say today’s Camrys are boring? But I really like the house and flower garden! Paul, is that the house you and Stephanie live in, or one of your rentals? Either way, it’s gorgeous! Ours. Our rentals have mostly students or young adults, and they would never invest that kind of time and money to garden like that. It’s really Stephanie’s garden; I’m the grunt. It’s been in a few calenders, magazine article, and the local garden tour. Here’s a better view of the side (in the early spring). In back, we have a large veggie garden, and more. Tell Stephanie the garden is a knockout! I showed Lily, the greenest thumb any of us has ever seen, and she is mightily impressed. I have a soft spot for the GM-10’s. My second car was an 89 Grand Prix SE with a 5 speed, and my third car was a 90 Grand Prix ASC/McLaren Turbo Coupe. I always loved the way they looked. The turbo coupe was quick and handled great. They were very comfortable highway cars, and I never had anything major go wrong. 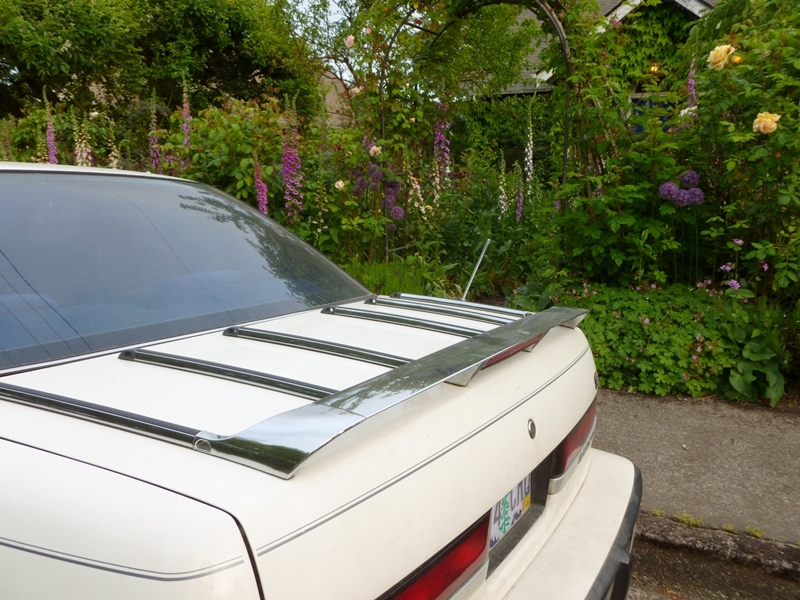 I put 124K on the turbo coupe and it only left me stranded when I ignored the signs of the yearly alternator failure. I like the Regal GS’s with the slit dashboard. I almost had my grandmother (god rest her soul)talked into buying a white GS sedan exactly like that one back when it was new in 94. I know I’m in the minority, but I truely miss seeing GM-10’s all over the place. FWIW, I thought that the GM-10’s or W’s were pretty well styled, a real nice size between a really large car and a compact car. This car is like a previous poster noted, rather anonymous. OTOH, Buicks being what they are, this thing could cover a lot of ground pretty well, and pretty well under the radar. I’d be OK driving one of these, I can appreciate the capability to travel at high speeds and still be invisible. Sounds good to me. Buicks will always have a problem for me, and this car fits nicely with why: my grandma has one (at least I think she still does, it was there when I was back home last year), in baby blue, the latest in a long line of Buicks she has owned (the previous was an ’87 Century, and there was a ’78 LeSabre that was handed to my parents that haunted the street in front of our house for years, like a zombie that just wouldn’t die despite being long since dead, and I’m sure that before I was born there were more). I love my grandma, but not so much her cars. 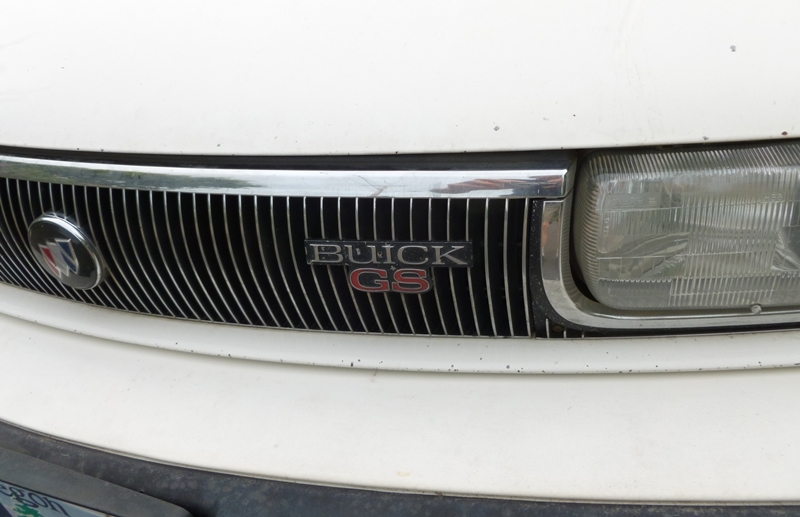 Buick, even with a GS badge on it, equals old people’s cars. Old people want a big, floaty, appliance to drive around. Old people want simple cars from a simple dealership they’ve been visiting for ages who’ll fix the simple problems that arise from such machines quickly and with a smile. 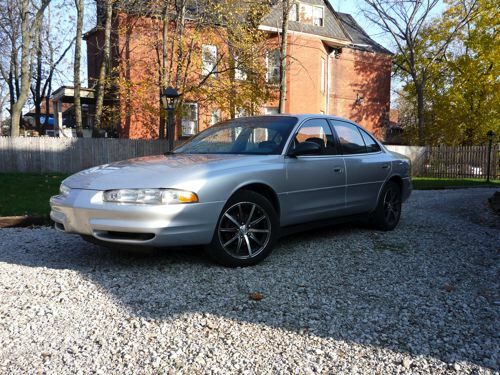 If you’re younger like some of the commenters above, you’ll have driven the Pontiac version, thus maintaining the image of the Buick, no matter what platform, as the retiree’s choice. And even when it has the GS badge, I know there’s that festival of cheap plastic with those insulting, bulbous switches on the doors that would have made Hyundai blush waiting to assault my eyes. Back in the early 90’s,I gave up my cushy job as a production group leader on the Chev [Lumina] line. I followed the O.T money to the stamping plant. As the new guy in the plant,you have to take the first opening,and wait your turn for the preferred jobs. After bouncing around a bit, I landed a position as a parts packer at the end of a transfer press. Packing Buick and Chev fenders at 12 strokes per minute was boring, but not too demanding. It was a whole different story, when the first of the four door Buick quarters panels started running. Trying to position that panel in a rack designed by a sadist, without slashing your partners throat was in itself a challenge. As an outer part,putting a mark on it was a no no. I don’t think they had heard the word “ergonomics” in 1992. Sales of the four door Buick went through the roof. We had to run that quarter at least 4 times a week. Tall and biggger, people simply could not twist themselves around enough to do the job. If you were not in perfect sync with your partner,it could be a nightmare. My coworker was a farm girl, and I thought she was going to use me for pig feed when I told her I’d found a better job. Granted, the W Buick four dr, brought in some big OT bucks, but I still get a twitch in my lower back everytime I see one of those early Buicks 4 drs. What specifically was it that made the quarter panel so difficult?? Tales of the assembly plant stuff sure sounds interesting! 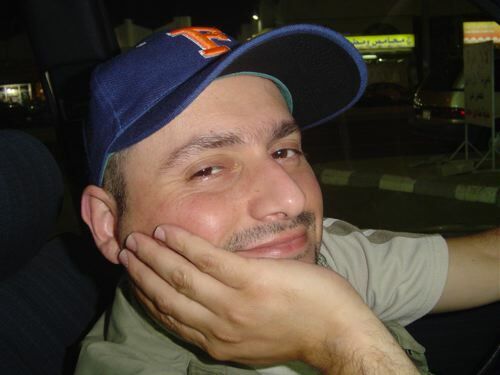 @Mr.Tactfull……Its hard to describe. But I will try. The quarter needs to be stacked an three” fingers”[ we call them dogs], in order to keep a space between panels. The quarter needs to sit [we call it nest] in such a way to allow the next one to nest above it. The dog it nests on, activates the dog above it. As I recall the quarters were stacked 13 dogs high,x two stacks to a rack= 26 to a full rack. So… say you were racking to the third set of dogs on a rack, but your third quarter,was nesting on one of the fourth dogs…..oops. The press is spitting them out at one every 7 seconds. Normally you pick every second one off the press,but your partner is now f….ing around trying to correct the stacking FU. So you are now stacking one every 7 seconds by yourself. Thats where you want to hope, that you and your partner are on the same page. I’m not the first to mention it Paul, but that is a beautiful house and garden. The two houses I grew up in were built in 1929 and 1934, they were great places to live. I love old houses and old buildings, they have so much character. This one is pretty modest and simple compared to our old house in Los Gatos. 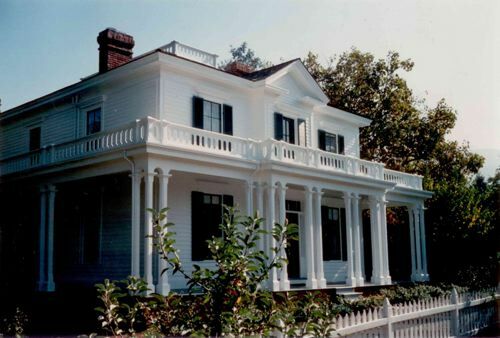 Built in 1866, one of the older existing houses in the Bay Area. Don’t ask how much money I sunk into that, after the Loma Prieta earthquake damaged it. My experience with the W body started with my uncle’s ’88 Cutlass Supreme coupe. It was a pretty sharp car in dark grey with the basket weave wheels. As I recall it developed numerous electrical problems by 100k miles and he ended up donating it. My dad bought one of the first Lumina Euros in 1990, and I loved that car. For a hip-hop loving teenager, the base from those 6x9s couldn’t be beat. That car also met an early end, developing a rod knock at just 75k. The second gens seemed to fair better. One of my current cars is an ’01 Intrigue. It’s still going strong with 160k and is one of the best looking Ws in my opinion. I know the 3800 is a more proven engine, but the DOHC 3.5 in this one is so much smoother than that old pushrod. The 3800 seemed to fit my LeSabre, but it doesn’t jive with the European sport sedan feel that Olds was going for with the Intrigue. My FIL operated the family’s Buick/Olds dealership until it closed its doors in ’05, and he still insists I should have gotten an older Intrigue with the 3800 instead. For some reason this didn’t attach to the original comment. 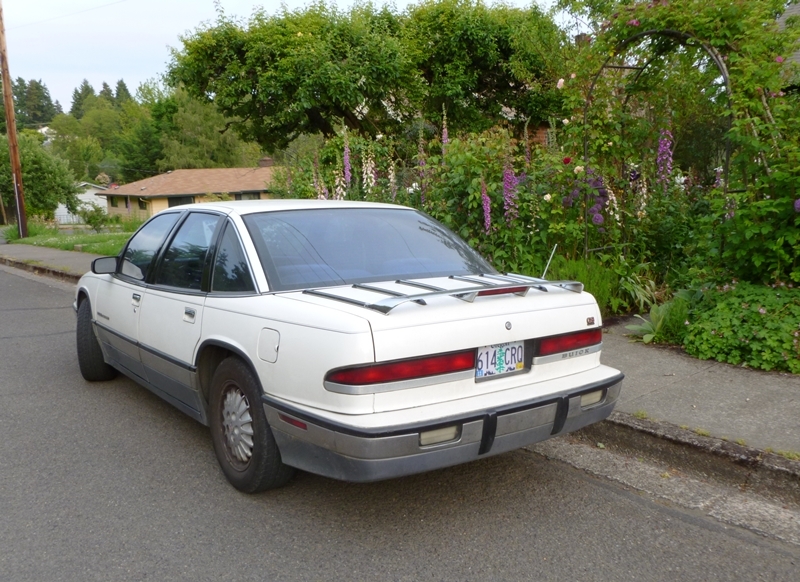 I intensely disliked the luggage racks that GM put on their 85-94ish FWD sedans, to make them ‘look imported’. Am I far off in thinking that the wheels look better than the rest of the car? I do have a soft spot for late 80s-early 90s Buicks, strangely enough, but this is pushing it a little. Sorry about the attachment. For some reason I thought it would appear as an avatar, and now I can’t delete the damn thing! One of my favorites ones.. enough power to light the tires, reliable(almost trouble free even with the “drive it like you stole it” mode all the time), fuel efficient at least the summer on the highway(more than my girlfriend 2004 4 banger Kia Optima), the only negative point is rust i live in quebec, the land of salt and snow. But It’s a almost 20 years car.. They rolled backwards with the successor of the body style. Good call. I have had one of these loyal cars since I was about three years old. 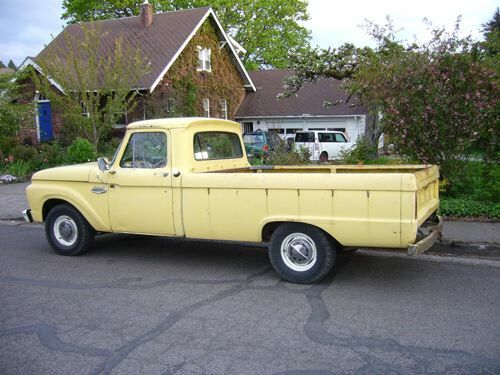 Now I’m 25 and I’m restoring it. It has gone 300,000 miles with no major failures. It rides great and I feel like it can out handle my miata. I’d love to find one more person who loves these cars as much as I do. I do have restoration pics but I can’t upload them from my phone. I bought a ’93 Regal Custom 4-door during the Summer of 1993. It was a special edition with the Gran Sport’s leather seats, 3800 V6, keyless entry and a host of other goodies. It stickered at $17,999 so equipped. There was no negotiating room due to the special pricing. The salesman told me if I wanted the $21,000 version with less equipment and cloth seats, I could get one of those and there was room for price negotiation. 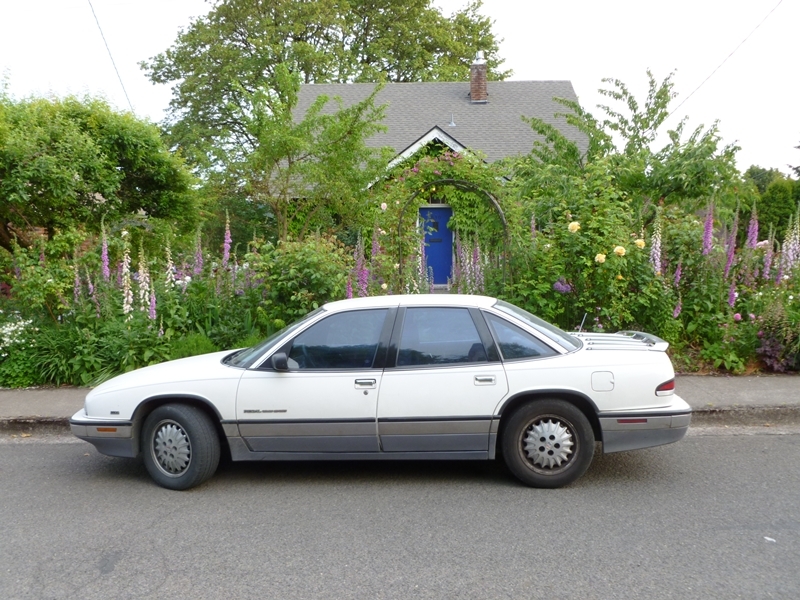 The Regal was absolutely one of the best cars I’ve ever owned and numerous people remarked how quietly it rode. Additionally, the interior this year was of better quality than what hit the market, I believe, in 1995. I sold it when I got my new LaCrosse in 2005 and I didn’t need 3 cars. I wish many times I had kept it. Does 1991 buick regal gran sport have fold down rear seats?